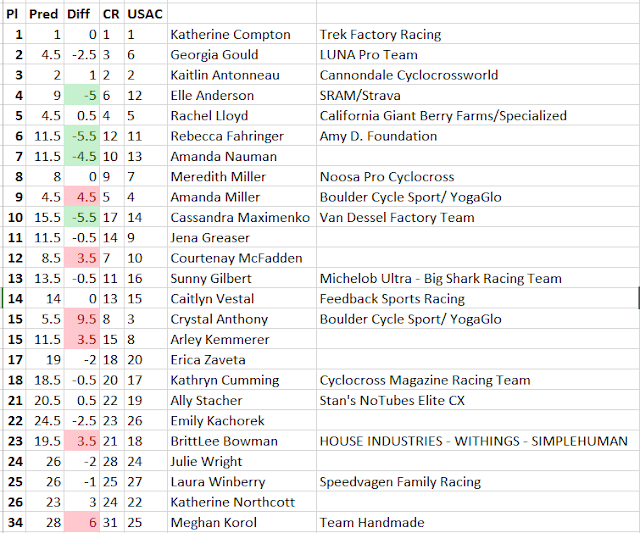 After 2 weekends of random staging in UCI races, I gotta say, I'm totally cool with it. I mean, I want to be outraged, but when you get right down to it, stuff more or less sorts out where it should in 60 minutes of racing. And the excitement of the number draw is unparalleled. Then again I haven't drawn back row yet, so I could be a bit biased. Anyway, I snagged good ole #27 on Saturday, which was on the first row of non-UCI riders. Good deal? 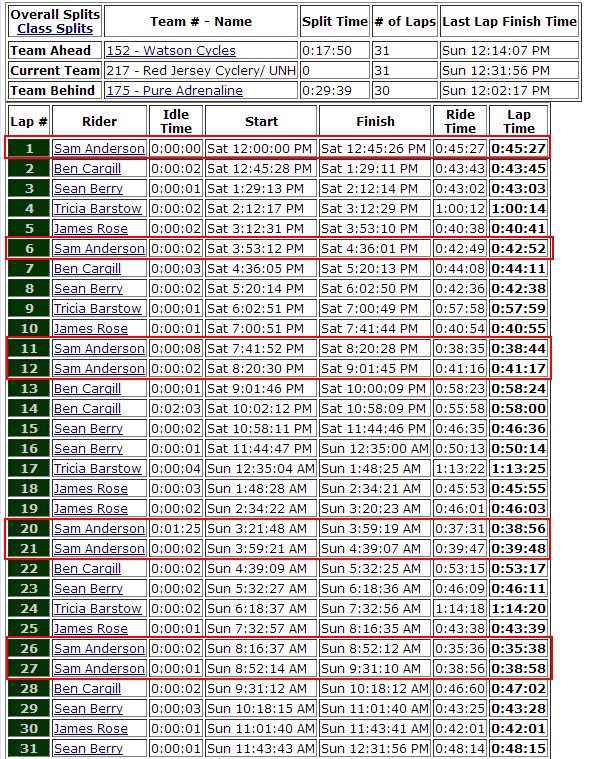 And also, just about where I would be if we staged by crossresults.com or Verge points. How convenient. For some awesome reason everyone wanted to be on the right (even though we turned right) so I grabbed far left of row four. Obviously everyone is going to squeeze right through the turn (obviously!) so if you're not in row 1 or 2, it might be the shortest path but it sure isn't the fastest. Thus endeth the extent of my protips for UCI cross racing. The gun went off and some clown in front of me, who rides for Embrocation, and also has the bedroom next to me, slipped his pedal. I went through the gap like a man who hasn't beaten Cary on a cross bike in 24 months now and was FLYING. Like "I can see the front of the race" flying. Exciting times for us Cat 2's. So I made it to the runup in 15th or something ridiculous like that, hung out in the scrum, watched Manny eat it hard on his bad shoulder (only to return the next day and get 7th, holy crap) and generally tried to hold my far-too-good place in traffic for as long as possible. Pete Bradshaw, aka Embro rider who lives on my couch, not to be confused with the Embro rider who lives in my room or the one in the other bedroom, rode around behind me outriggering turns like it was his job and then lit me up on a straightaway because he is a better bike racer. Cycle-Smart International Day 1 Chainstay Cam from colin reuter on Vimeo. No matter, though, Cary is behind me and Cary is the enemy. I did the predictable shuffle-to-the-back-as-the-group-grows move, because I was a bit over my head. Somewhere along the way we were joined by Sweens, Wilcox, Wayne Bray (I was wondering when Wayne would show up and crush me this season) Sean Smith, and Mike Jenks. I hung out at the back, dangling like a big wimp. Luckily Cary blew the rideup twice during this time (apparently staying in your pedals is part of riding a bike uphill, who knew?) and went OUT THE BACK instead of TO THE BACK like me. Apparently getting up at 7 and having two clif bars for lunch does not make for 60 minutes of power in a 3pm race. Should I know better than this? Oh yes. Yes yes yes. So I rode a lap thinking about how dumb I was, watching the group ride away from me. Then Mike Jenks crashed on his face or something and I passed him, so that was a brief respite. Before I could get excited about taking a place from possibly dead man, I realized that Cary was suddenly closing on me, and he was not alone. 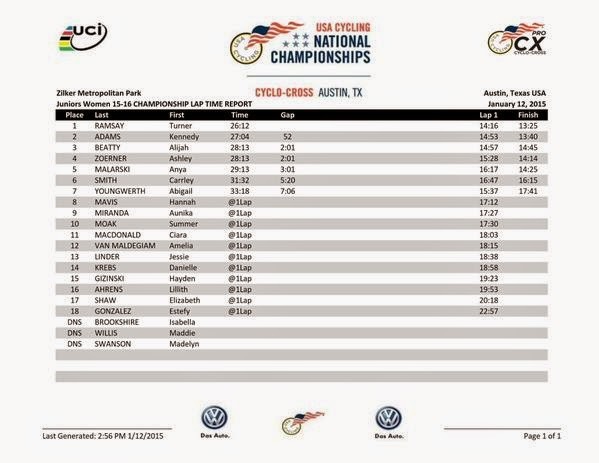 He was apparently riding a team time trial with Pete Rubi (an Embro rider who *doesn't* sleep in my house, therefore, not a real Embro rider at all) and dragging half the field with him. And I realized that I was totally screwed, because I was getting so lightheaded it was affecting my steering, and Cary was going to take my lunch and make fun of me YET AGAIN. The dread as I crossed the finish line with two laps to go and a 10 second cushion was palpable. I am Colin Reuter and I am not good enough at bike racing. Coming into the sandpit with 1.2 laps to go they made contact, and I prepared to hang on for dear life and see if I could work some magic in the sprint against Cary, who is a legendarily bad sprinter. Pete Rubi passes me for all of two seconds and then endos in the second sand. I magically levitate over his body, Cary doesn't. Exiting the sandpit Seamus Powell comes through hard and I grab his wheel. Cary and Pete don't. I'M NOT DEAD YET, BABY! With one to go my body suddenly decides that adrenaline is an acceptable substitute for glycogen and starts functioning again. I attack Seamus on the pavement (seriously, ON THE PAVEMENT, how rare is that??) and lead into the top section. Go go go! Seamus is gapped, cary is gapped, Rubi is gapped, everyone is gapped except... Mike Jenks? Really? I mean, I'm pretty I saw him die on a corner twenty minutes ago. Well, that's annoying. Mike came around me heading into the lower field and I got the sickening feeling that he WANTED. IT. He just kept sprinting out of every corner like a man possessed, and I kept hoping he'd settle down and let us sprint it out. Yessss Mike, you should totally leave this up to a sprint. I'd never come around. But alas, Mike was HUNGRY and I was just STARVING. Five bike lengths became fifteen bike lengths, and I can totally close that on the last straightaway, sure I can, except he's STILL sprinting out of every damn corner. Now it's 3 seconds, we're on the pavement, and who am I kidding? 22nd. Ahead of Cary, who apparently decided to crash multiple times on the last lap (or every lap, with him you never know) and in the money! Beating Cary in a clean cyclocross race (no flats, no mechanicals) was the highlight of my cycling career.